The Foooty is a DIY flat pack soccer ball that's both fun and easy to make and even better to play with. 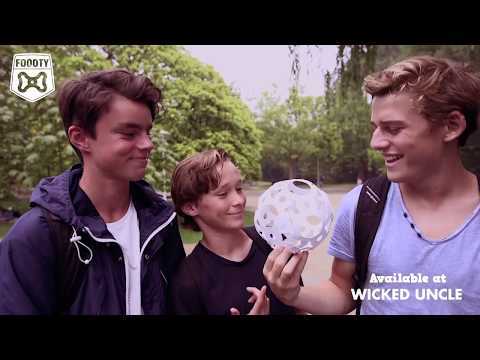 Follow the instructions and connect the ten Foooty elements, interlocking together to create a 6 inch diameter football, ideal for practicing kicks, flicks and tricks. The flat pack footy design means it fits in every pocket and can be taken wherever you go. Light and robust, the same pieces can also create a frisbee, juggling balls and even a small rugby ball. Designed in Holland, Total Football genius! Learn about solar power technology building mini robots.